The Town of Valley East is well-known for a lot of things. However, until recently, our community wasn’t really recognized by “bird-watching enthusiasts” of the world. 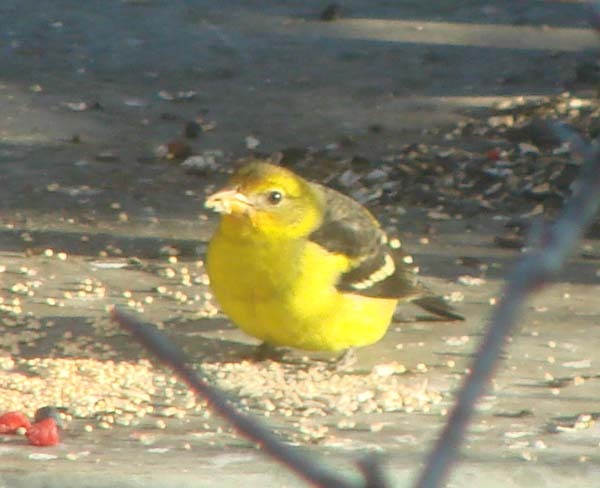 All that changed on or about November 11, 2009 , when a tiny little bird called a Western Tanager showed up in my backyard and was spotted by my wife, Valerie. When my wife spotted “Number 55” early one morning, she took some pictures and contacted one of her “bird experts” in an attempt to identify the little creature. 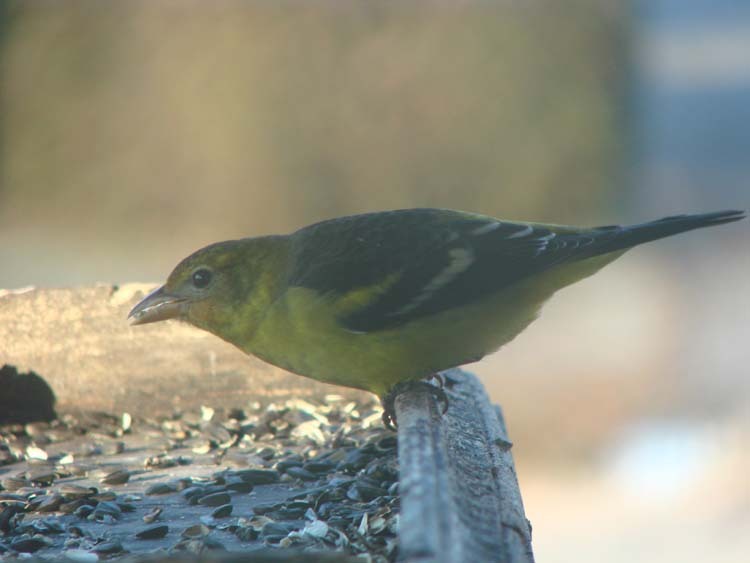 As it turned out, this tiny visitor was a male Western Tanager that was thousands of kilometers from where it should have been. 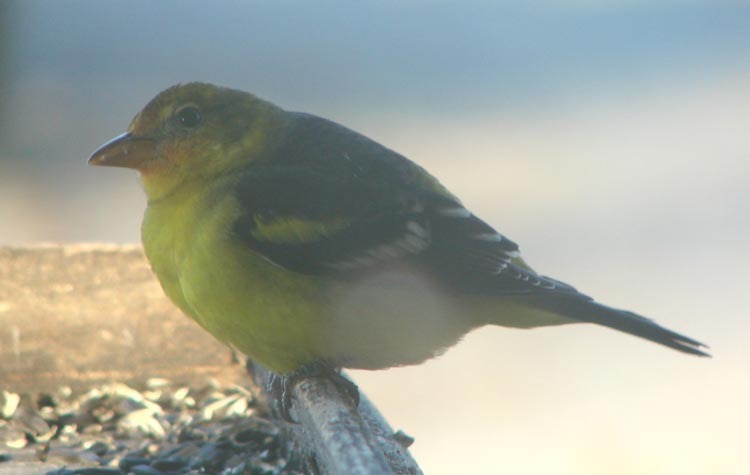 In fact, the Western Tanager should have been somewhere around Mexico or Southern California at this time of year, not in Northeastern Ontario . 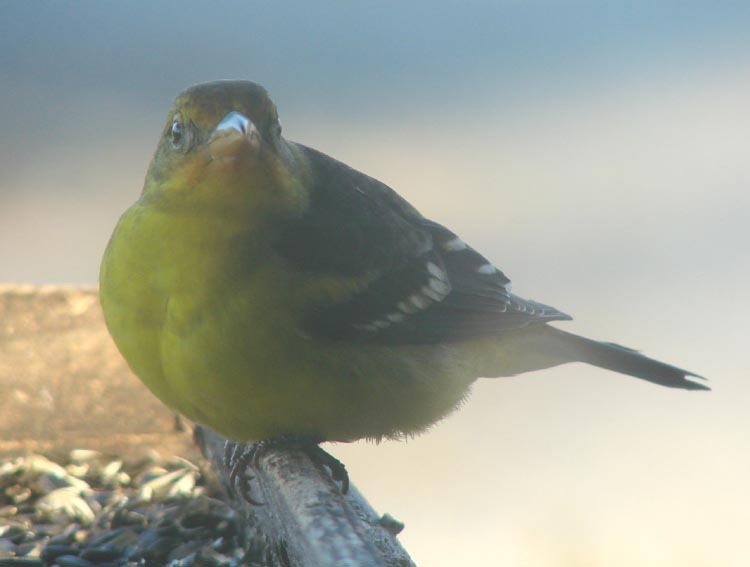 During the summer months, the Western Tanager can be found along the western regions of North America, from the Mexico-US border to as far north as Alaska. But it seldom is seen east of Alberta . 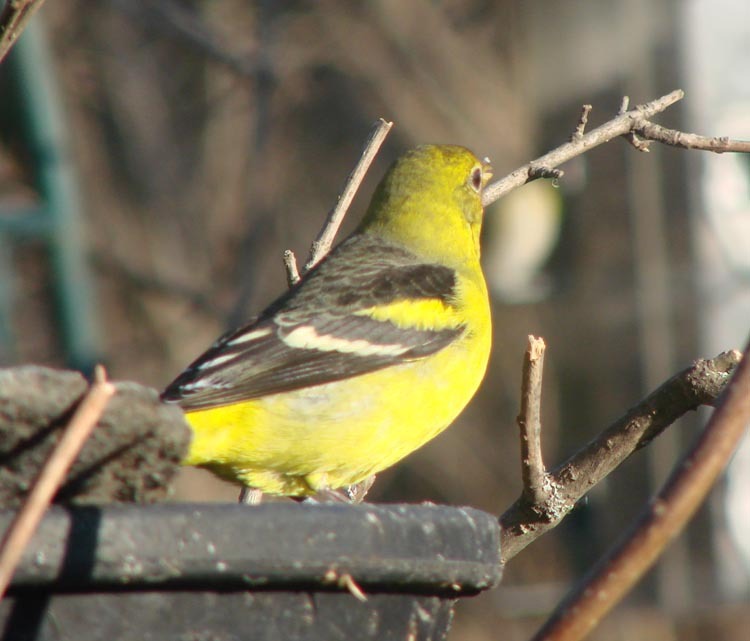 Once the bird was identified and word got out about the location of this rare sighting, our backyard immediately became one of the most popular attractions among bird watchers from across Ontario . It has captured the attention of professors from Laurentian University as well as several other local enthusiasts who have been able to get some excellent photos of the Western Tanager, which seemed to be quite willing to hang around and have its picture taken. Two men even drove up all the way from Hamilton one Sunday morning and waited for over five hours before they finally spotted the little bird perched up in one of our trees. We’ve had people from North Bay to Massey stopping in for a “look at the rare bird” and have answered phone calls from as far away as Ottawa and Toronto to talk to people who have heard about our discovery. The next day a couple arrived from Ottawa after leaving at 6 a.m. Unfortunately, they were unable to spot the bird while they were here. However, the couple was completely understanding, explaining that this is something they were accustomed to over their years of chasing rare birds. Apparently, one of the storms that occurred early in November may have originated from the Colorado region and could be responsible for carrying this stranger way off course in its migration south. Some experts have stated that there have been several sightings of other species foreign to Ontario since the storm, leading them to believe this was the case. All we know is that serious bird watchers consider the Western Tanager to be one of the rarest sites you can witness in Ontario . Very few people can say they have actually seen the bird. Valerie and I have grown accustomed to seeing our little visitor picking away at the seed every day. We also know that this beautiful little bird that has brought us so much joy and pleasure for a couple of weeks is not likely to enjoy a long and productive life. It is all alone, in a hostile environment, thousands of kilometers from home. Mother Nature can indeed be cruel. We can only hope that it somehow finds its way to a warmer climate before winter arrives. No one can keep a secret as well as Pirkko Campbell! A resident of Hanmer for over 25 years, she he and her husband, Marc, have raised two boys, Tyler (21) and Cory (18). Pirkko is currently employed as an Educational Assistant at Pinecrest Public School where she leads the garden club in their efforts to improve the schoolyard for both students and the community. Besides her “day job” at Pinecrest, Pirkko is a local inventor. This spring she was one 300 contestants chosen from over 4000 auditions held in Sault Ste. Marie, earning the right to pitch a new invention to the panel on Dragon’s Den last April. Dragon’s Den, which is about to begin its 4th season in October on CBC, is a show where budding entrepreneurs get one chance to pitch their product to five wealthy “Dragons”.. Pirkko is bound by a confidentiality agreement with the show’s producers to keep the results a secret and even her husband has no idea of how she fared on the show. Besides the excitement of being part of a national television show, Pirkko is also now gaining experience in the process of marketing and promoting her product so that it might be picked up by one or more of the national chains. 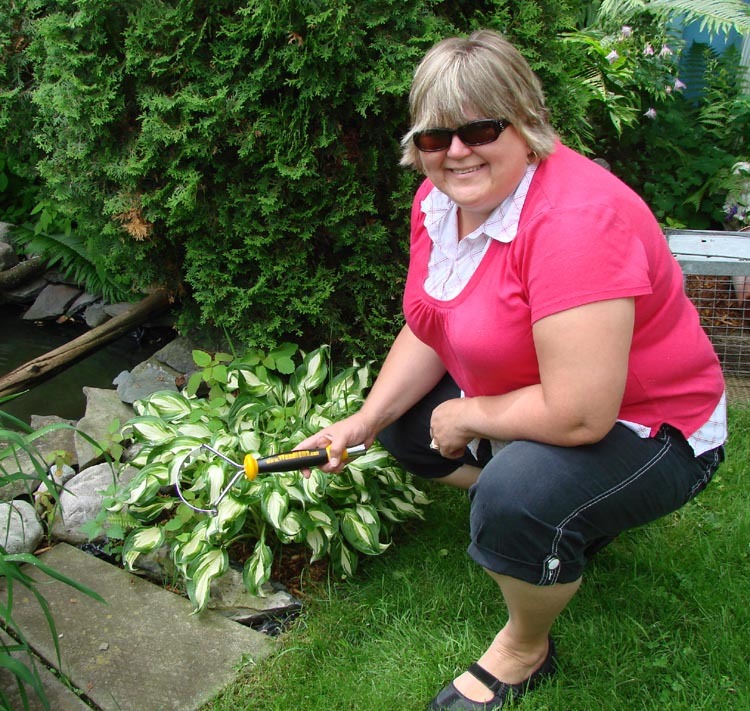 Locally, the Weedcomb is available at Hanmer Home Hardware, Holla’s and Ashley’s Landscaping. The cost of the tool is only $14.99. You can even check out the web site at www.weedcomb.com. As for Pirkko’s secret, she assures that her lips are sealed and the only way you will find out how she did is to tune in to the Dragon’s Den when the show begins again in October. The “Trinity Toe Tappers” clogging group put on a three hour public performance at the Hanmer Valley Shopping Centre that delighted hundreds of visitors to the mall in June. In the photo we see five members of the group of dedicated clog dancers who have evolved from the former “Capreol Cloggers”. From September to May they meet once a week every Monday evening in the Trinity United Church (Capreol) hall. The “Trinity Toe Tappers” consist of a very diverse group of individuals, most of whom live in Valley East or Capreol. However, one member travels from Wahnapitae and another is a published choreographer. 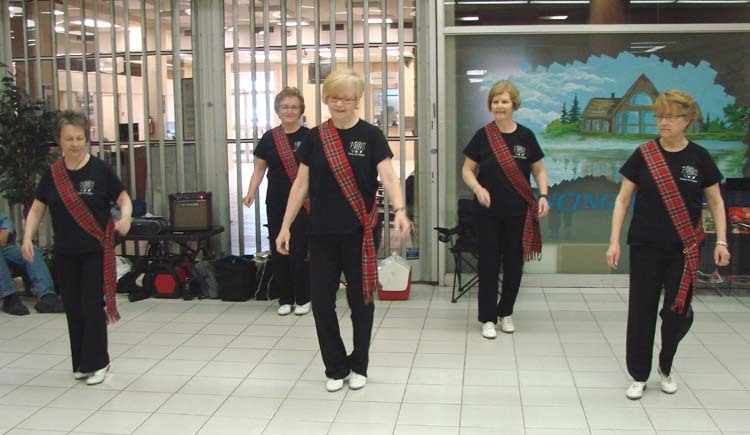 The dancers perform regularly on a volunteer basis at various local community functions, at the area Senior’s Residences and Nursing Homes, and as well at the Irish Celtic Fair organized annually in March by the Sudbury Irish Arts Association. Clog dancing is a lively dance with roots in Irish jig, English country dances, Scottish dances, African steps, and can be traced as far back as the early 1500’s. One historian has suggested that the dance originated in the mill towns in England where workers, who commonly wore stout wooden-soled shoes would go out into the cobblestone streets during their lunch breaks and hold impromptu dancing contests. If you are interested in joining the Trinity Toe Tappers, contact Valerie Bainbridge at 897-4373. October 4, 2008 was a very special day in the lives of the people shown in the photo. From the left, we have Shandi Charette along with her gelding, Koal. Kim Bishop, April McAllister, and Shandi’s 12 year old daughter, Karlee, along with her horse, Johnny. Kim Bishop, owner of Pine Valley Farms, and April McAllister were the organizers of the 2nd Annual Ride For The Cure, hosted by Pine Valley Farms in Hanmer. It is a special fund-raising event for Breast Cancer Research that is held in conjunction with the Run for the Cure campaign that is sponsored by CNIB. For Shandi, this day was especially significant. It was the 4th anniversary of the day she was told that she was “cancer free”. The 39 year old mother of three was diagnosed with Non-Hodgkin’s Disease at the age of 34 and underwent over ten months of treatments, including a stem cell transplant. It took her over two years to fully recover, but she will always remember October 4, 2004 as the day her doctor told her that she was “cancer free”. She knew that the next five years would tell the tale, but after four years of remission she is hopeful that she will be known as a “survivor”. Karlee has an older sister, Kaitlin, 15, and a younger brother, Braedyn, 8. Their father is Randy Charette. Karlee was only seven years old at the time, but the memory is embedded in her mind. Today she shares in the joy her mother feels and is herself inspired to do whatever she can to help fight cancer. Shandi said that it was a terrible day when she found out she had cancer. It is a feeling she will always remember. The treatment period was awful, but today Shandi is one of the most positive persons you will ever come across. Her outlook towards life has changed as a result of the battle with cancer and she is passionate about living each day to the fullest. She is also passionate about fighting cancer and helping raise money for research. Kim and April wanted to do something to raise money for Breast Cancer Research, so they came up with the idea of riding horses instead of running or walking. Last year, in 2007, they put the event together with very little lead time, attracting over 50 riders and raising $2000 for Breast Cancer Research. This year, with much more time to prepare, the Ride for the Cure doubled to include 106 riders raising $4481. The participants had such a wonderful time that Kim and April are expecting the total to push the 200 mark next year. 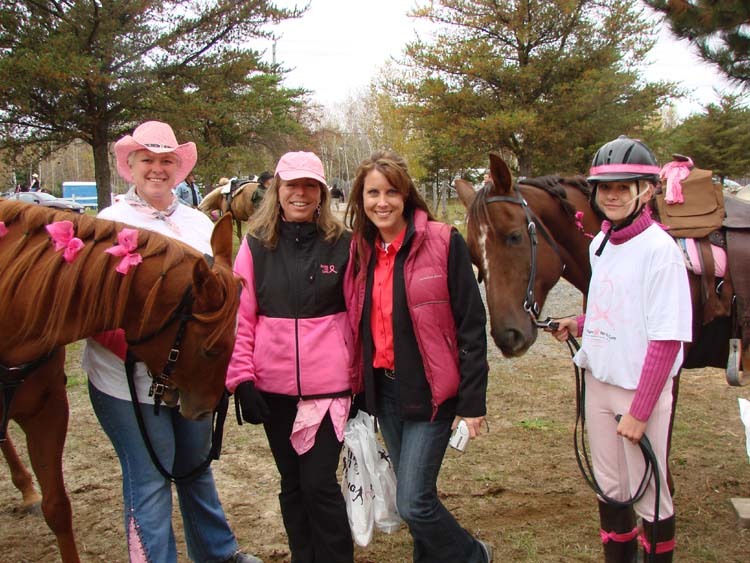 The ride was open to all riders of every level and age with prizes awarded to the most outrageous pink horse and rider and the most raised money. The ride began at Pine Valley Farms in Hanmer at about 12 noon where the riders gathered their horses and then rode as a group down Hydro Road , along Bodson to the trails in behind Loebs, Val Caron where refreshments and food were available. The ride in total was about 3-4 hours long. The organizers wished to express their gratitude to the sponsors, including: Neils Independent Grocer Hanmer, Food Basics Hanmer, Loebs Val Caron, Tim Hortons Val Caron, Tim Hortons Hanmer, Leather Works Val Caron, Parmalat Canada Sudbury, Valley Plaza Pharmacy Hanmer, Dairy Queen Regent, Sudbury, Greenhawk, Sudbury, Valley Farm and Feed, Blezard Valley, Equipment North Inc., Dalron Construction, Sudbury Regional Police, Richard Morris, CIBC Run for the Cure and all our volunteers who made the event possible. 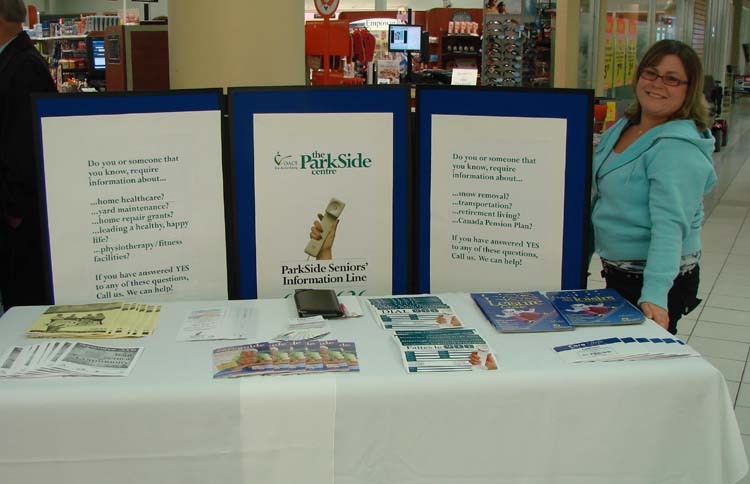 Debbie Daoust, Parkside Seniors’ Information Line Coordinator, was at the Hanmer Valley Shopping Centre recently increasing local awareness about the important services available at the Parkside Older Adult Centre Sudbury which is located at the YMCA building at 140 Durham Street in downtown Sudbury . If you or someone you know requires information on accessing senior services in Greater Sudbury, you are encouraged to contact the Senior’s Information Line at 673-3636. Services include housing, home and yard care, government services/pension plans, respite care, fitness and exercise programs, home health care and transportation. The Senior’s line is open Monday to Friday from 8:30 a.m. to 4:30 p.m. and is supported by many senior service providers throughout the City of Greater Sudbury . 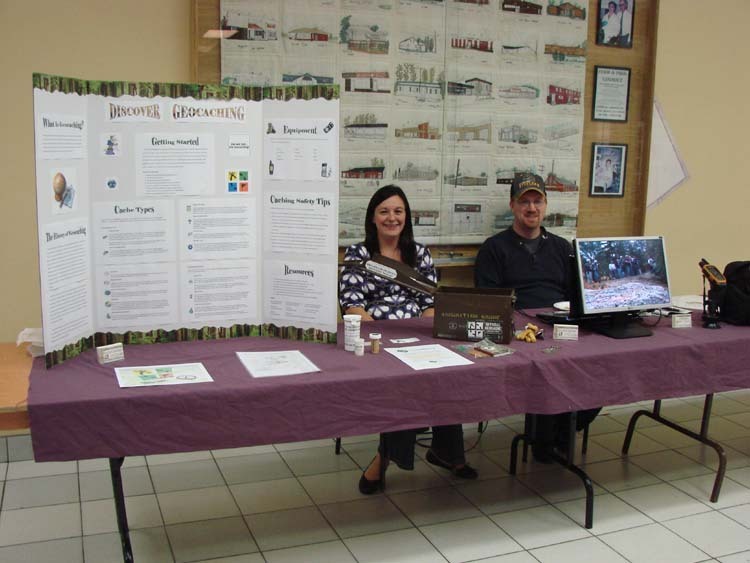 Visitors to Debbie’s booth also picked up descriptions about some of the programs offered through Parkside. Membership is only $35 per year. With the membership you get access to drop in activities, workshops and the use of the games room. You also get reduced fees for programs at the Parkside OACS and discounted fees for the YMCA. The centre is open Monday, Tuesday and Thursday from 8:30 a.m. to 8:00 p.m. ; Wednesday from 8:30 a.m. to 9:00 p.m. and Friday from 8:30 a.m. to 4:30 p.m. The Parkside OACS believes that programs and services should be available to all older adults in our community regardless of economic circumstances. The Centre offers sponsored memberships and programs to assist those individuals who otherwise would not take part in the activities and services. For more information about the winter programs you can call 673-6227. Pauline Quenneville, a self-published author whose first book is now available at Chapters, was in Valley East recently to meet and talk to fellow literary enthusiasts as part of a tour she is conducting to promote her book entitled VERITE. Pauline spent a day at the Hanmer Valley Shopping Centre signing books for shoppers and then was Robert Kirwan’s special guest on his weekly radio show, The Learning Clinic, which can be heard on CKLU 96.7 FM every Monday from 6 to 8 p.m. .
Pauline, who now resides in Blind River , grew up in St. Charles . She moved into the “big city of Sudbury ” when she was a teenager to get a “decent job”. 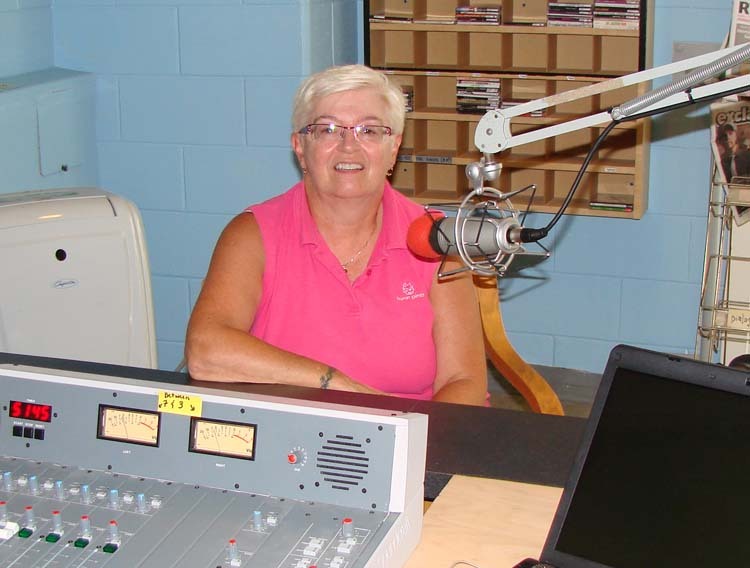 She worked for Canada Mortgage and Housing Corporation for 26 years until she retired and moved to Blind River . After she retired, she looked into several different career opportunities, but decided that she would pursue a passion she had all her life – writing a novel. The book, VERITE, is, as Pauline puts it, “an English book with a French Title”. It is a book that is a “must read” for young ladies who are planning to leave their small communities to find employment in a big city. Pauline’s own personal story is a good example for young people who are starting out on their journey of discovery in hopes of establishing a satisfying career or their own. It is also inspirational for older people who are about to enter the “age of retirement”. They will see that there is no need to look at your 50’s and 60’s as a time to lay back and watch life pass on by. Pauline recommends that all retirees take a good hard look at what it is that excites them about life and then pursue those passions, turning them into reality. Her advice to young people is quite simple – READ! Read everything you can get your hands on, and then read some more. Pauline is expected to return to Valley East the next time she is in the area – perhaps promoting the second book in her series – which is currently in the making!